After a year and a half the effect of the cancellation of the big notes is once again happening , in this background The central government has convened a meeting with the heads of public sector banks on Wednesday,The Center has been meeting with public sector banks in the wake of the severe cash shortage in the country, shortage of cash in ATMs and banks , which are getting worse.The review has been conducted on country's economic activity, transaction and cash flow .It has issued key orders to public sector banks.In the 24 hours, the government ensure that 80% of ATMs operate and cash will be available.The RBI also responded to cash hardships. 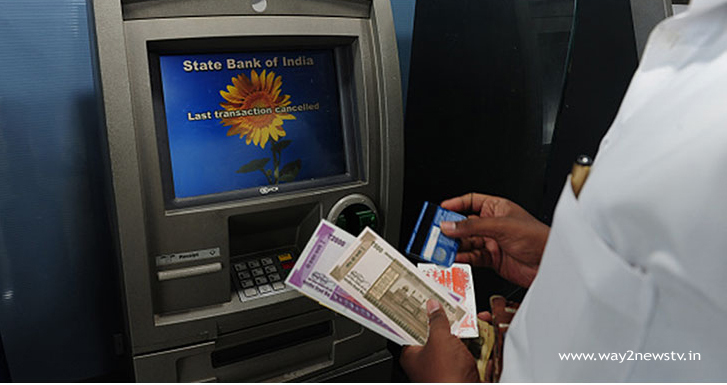 RBI has said that the situation at ATMs is improving and cash shortages are gradually eliminating. No ATM clocks are available. The shortage is temporary, but the problem is still not solved. Union Finance Minister Jaitley also said that soon the problems are going to happen. But the reality is that the real conditions are different. Speculations began to hold off the printing of the RBI note. Paper and Ink are getting worse. Currency paper imports are down 30 percent. In addition, it was necessary to print a new currency after terminating the banknotes. There is already a paper shortage ... after that the paper issue that comes with the printing of new notes is still going on. Still, the paper paper scarcity is hard at RBI ... This effect has been on printing up to Rs.2000, Rs 500 and Rs 100, respectively. Also the demand for the demand ... the missionary capacity for the printing of the note is also inadequate. However, the authorities say it will remove all issues in another week.